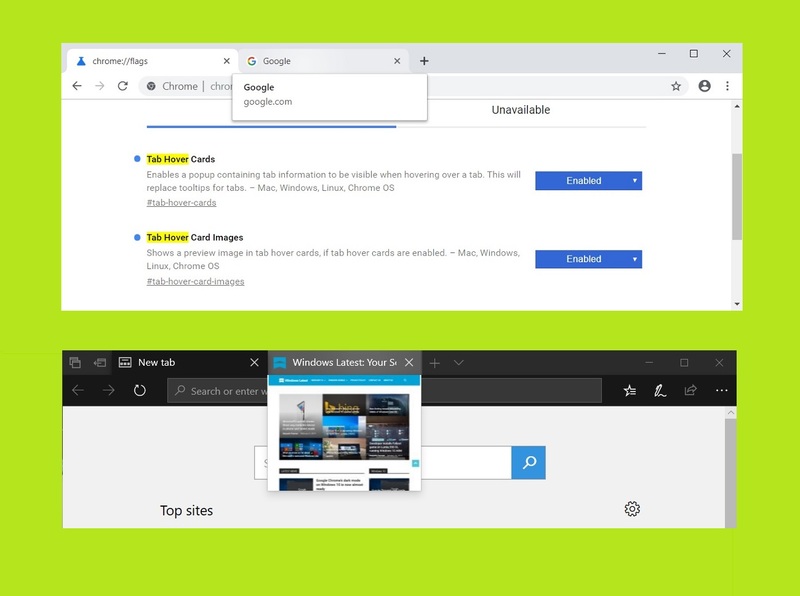 Microsoft Edge has a feature that allows users to hover over the name of the tab and the information or screenshot of the site appears without having to open the tab. Google Chrome is also planning to get a similar feature as suggested by two flags to Chrome Canary. Canary Channel of Chrome shows two flags which generate an image of the open tab of the browser when the cursor hovers on it. One of the flags is ‘Tab Hover Cards’ (chrome://flags/#tab-hover-cards), which displays a pop-up about the information of the tab. The other is “Tab Hover Card Images” (chrome://flags/#tab-hover-card-images), it claims to appear the image or screenshot of the tab upon which you hover but is not working as claimed. Though two flags can be seen in Chrome Canary one of them is not functioning as expected. After enable both the flags, the image still does not appear, only a pop-up with information of tab can be seen. However, to get an idea about how will the image look like, Microsoft Edge’s preview of the tab can be seen. The image may not appear just as yet, but surely work is being done on it by Google. For now, the text information could work for the Chrome users. Whereas the introduction of a preview image feature for Chrome users who have lots of tabs open often could be a great relief. As it would let them decide which tab holds what without much hustle.